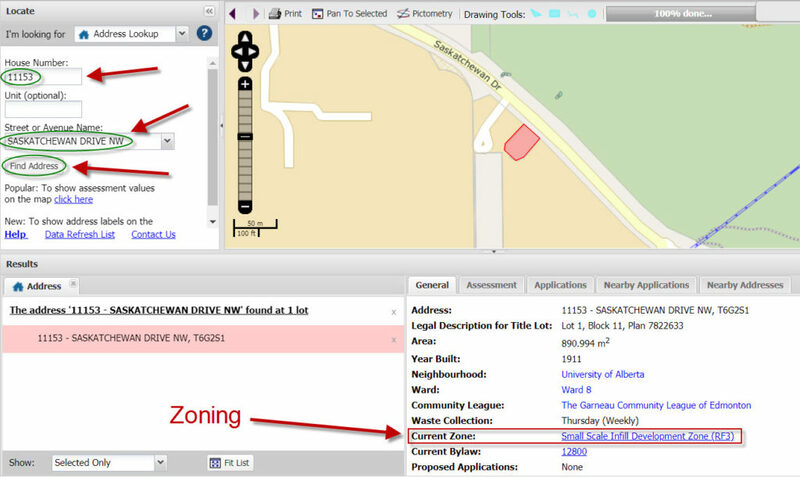 You can find out what zoning a property has by using City of Edmonton maps website and doing a simple search. All you need to do is enter the address of the house or building, and the zoning will appear on the first tab labelled ‘General’ under ‘Current Zone’. There you have it. Rutherford House happens to be zoned RF3. Now you know how to find the zoning of a property in Edmonton.